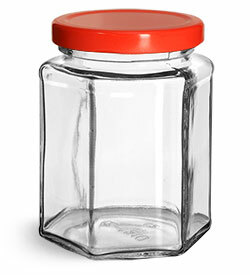 If you are looking to package honey, try our clear glass hexagon jars. 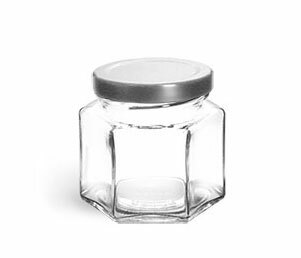 These glass honey jars are available with gold, green or black metal plastisol-lined lug caps. 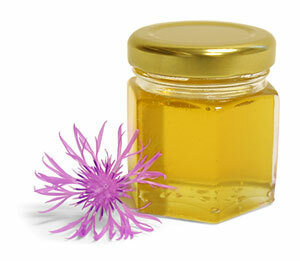 The jars range in size from 1.5 ounces to 9 ounces making them ideal for samples and full-sized honey products!